The useful life of carpets depends greatly on the maintenance that they get. Ensure that you take good care of the floor treatments in your home or office by using the tips shared below. 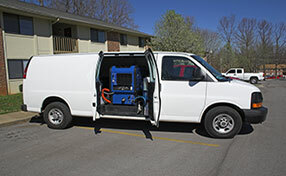 They cover different topics in the field of carpet cleaning. You will find them easy to understand and to use. 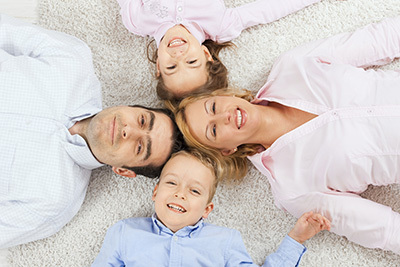 Adopt new ideas for carpet cleaning! Smart tips for effective removal of all stains and odors! Do you have pets and need good advice on carpet cleaning? Here you will find smart tips about rug cleaning and ideas on protecting them. Frequent vacuuming is good for air purification but you will need to do more to ensure healthy and clean environments. You must never neglect the significance of upholstery and couch cleaning and you must remove all stains effectively from carpets, too. Use vinegar on all oriental rugs for immediate odor removal and the experts of Carpet Cleaning Castaic would recommend steam cleaning, too. Dirt, stains and dust won't care if your sofa is expensive. They will just stick to the darkest crevices, where it will be hard to detect them. You must focus particularly on these parts during couch cleaning and use both the vacuum cleaner and your hands for deep cleaning. It's best to use ecofriendly products to clean stains because you wouldn't want any skin infections by chemical ones. If you just had carpet cleaning services and the carpet is still damp, keep the windows open, turn electric fans on and point them towards the direction of the carpet. This can help accelerate the drying process and avoid bacteria from thriving in the moisture. There is a letter showing what type of cleaning agent can be used on the specific sofa - water-based or solvent-based solution or both. Any other agents can potentially cause damage. Some microfiber sofas can only be vacuum cleaned to stay in good condition. If for some reason it is not possible to ask everyone coming in to remove their shoes, then you should at least have a sturdy doormat outside where people can scrub off dirt and debris from their footwear. There are plenty of doormat styles and designs to choose from. You can get those that are made of tough scrubbing material like rope or even plastic.